Summer + Phillip — Ray Photography Co.
Lancaster, SC - it was a delightfully warm day. We had been watching the weather all week with excitement for Saturday, AKA engagement shoot day, which had a giant thundercloud over it on the radar--until the day arrived when I could finally meet Summer and Phillip, and the sun graced us with its presence, peeked its way through the clouds, and blessed us with a dreamy, blissful sky under which we would enjoy the afternoon. Summer and I had been communicating back-and-forth for months. It's always such a joy to finally put a face behind the kind-worded e-mails and phone calls, and Summer and Phillip were beyond anything I could have ever hoped for. Their kind, easy-going spirits and openness to exploring old barns and overgrown fields made this shoot one of my absolute favorites! They met years ago, having shared the same circle of friends for years, and their friends had always said they would be perfect for each other. When they met, they knew instantly - their friends were right. 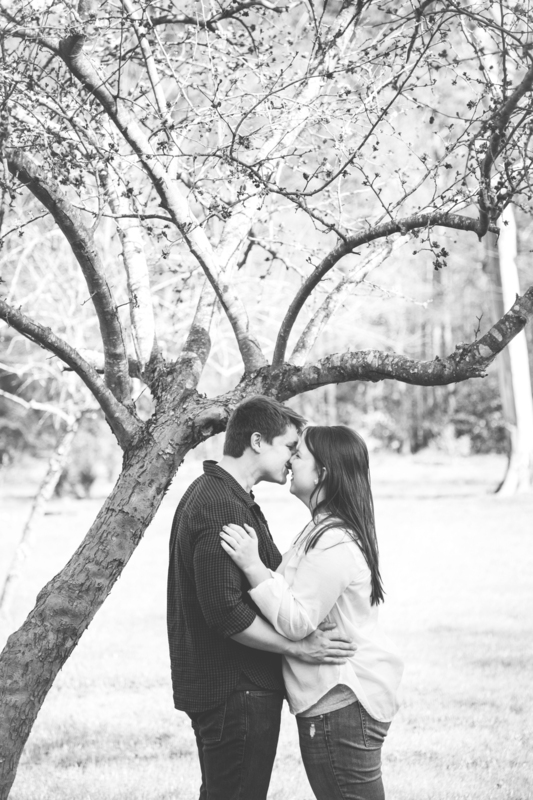 Four years, a couple moves, and a new house later--Summer and Phillip are engaged and to be married June 4, 2016!